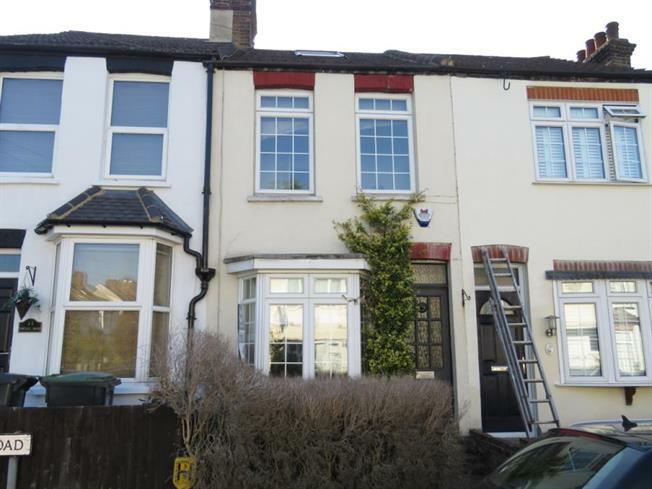 2 Bedroom Terraced House For Sale in Woodford Green for Asking Price £440,000. This beautiful two double bedroom period style property is a must see. The property is located in a quiet road off Chigwell High Road and within walking distance to West Hatch school and Chigwell Central Line station. The property has two double bedrooms, first floor bathroom and loft space which can be utilised for whatever you wish to use it for. To the rear of the property, there is an immaculately well maintained garden. This is a home ready to be moved into without having to lift a finger to it. This really is a must see as properties in this condition and location do not come to the market for very often and would be a wonderful first home for a young couple or a young family. Call today to arrange an appointment.